Florida Gov. Ron DeSantis is taking issue with Airbnb because it refuses to list Jewish homes in the West Bank. BOCA RATON, Fla. — Florida Gov. Ron DeSantis is taking issue with Airbnb because it refuses to list Jewish homes in the West Bank. "... we have a moral obligation to oppose the Airbnb policy. It does target Jews specifically. I think that is wrong," Gov. 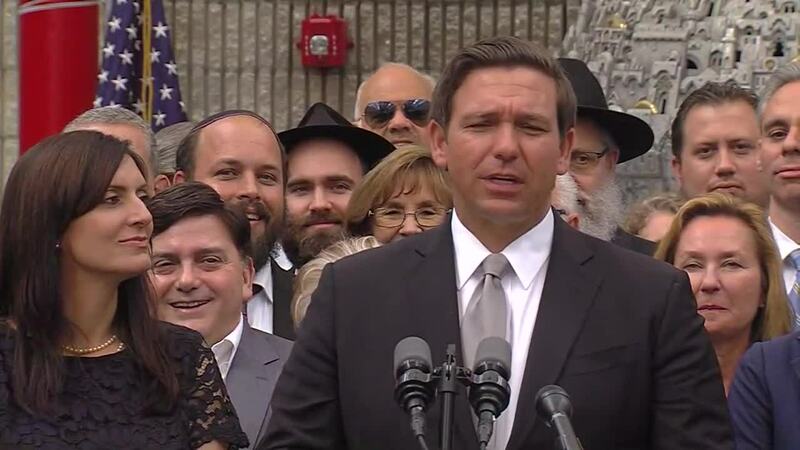 DeSantis said at an appearance at the Jewish Federation of South Palm Beach County Tuesday afternoon. DeSantis said the State Board of Administration, which looks at how Florida invests its pension funds, will report to the Florida Cabinet to see if Airbnb qualifies as discriminatory. If it does the state would not be allowed to invest in that company. Currently, Airbnb isn't a publicly-traded company and doesn't qualify but DeSantis said it is trying to become one. He also said he would suspend state employees from using Airbnb for travel expenses. The decision to sanction Airbnb was first reported by The Miami Herald . Airbnb announced in November that it would cease its operations in Israeli settlements "that are at the core of the dispute between the Israelis and Palestinians." In a response to DeSantis' announcement, company spokesman Ben Breit underscored all of the other business Airbnb does in Israel. “We remain deeply committed to our more than 20,000 hosts in Israel,” Ben Breit said in a statement. Gov. 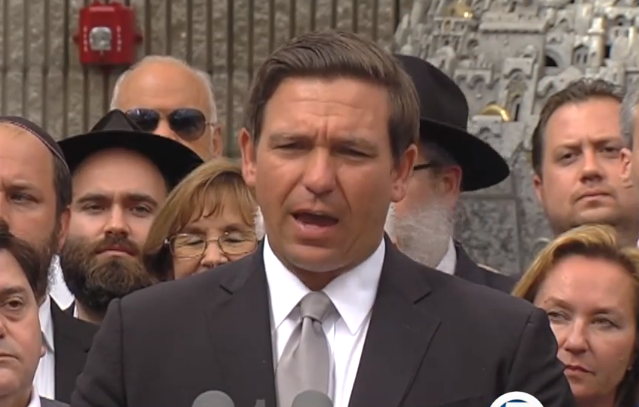 DeSantis also said he supports at least $2 million funding for security at Jewish day schools. And he said his first foreign trip will be to Israel. He anticipates making it after the legislature meets in May. He said he wants to expand commercial ties with Israel. "Jews and this is just a fact are more likely to be targeted based on their religion than any other group in our country,” DeSantis said outside the Jewish Federation of South Palm Beach County. Florida's 46th Governor has been very busy since taking office last week and laying out his plan for our state's future. On Monday, he appointed appellate court judge Robert Luck to Florida's Supreme Court, filling the second of three vacancies on the high court. Last Friday, Gov. DeSantis suspended Broward County Sheriff Scott Israel over his agency's handling of the Marjory Stoneman Douglas High School shooting in Parkland last February. He also called for governing board members of the South Florida Water Management District to resign during a stop in Stuart last week. 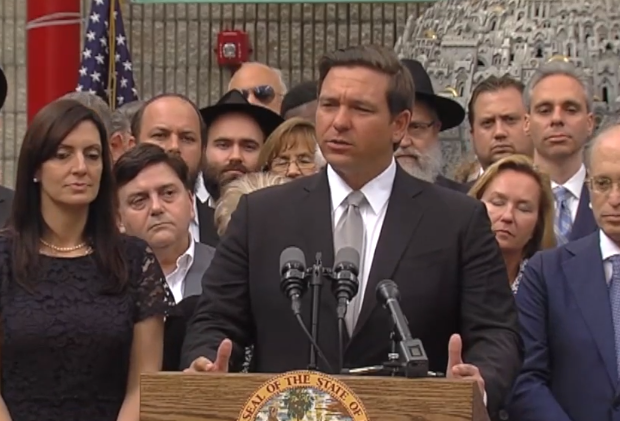 Governor DeSantis also announced his first foreign trip as governor will be to Israel later this year.